Steven (Chicagoland, United States) on 13 March 2008 in Plant & Nature. 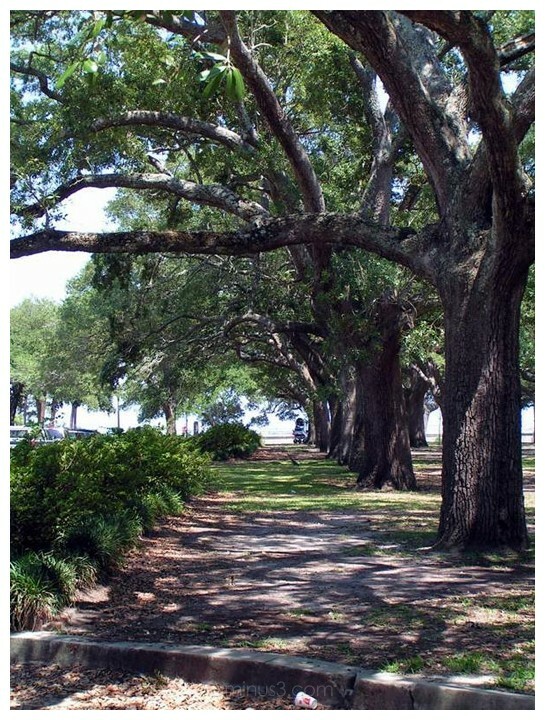 A nice canopy of trees leading you to the lakefront. This looks so much like places I grew up near. Live oaks l ike these are such wonderful shade-producing trees. What a nice pathway! Very pleasing! A beautiful walk way, the trees are magnificent! Lovely capture and cool perspective. This image has me wondering how old those trees are . . sometimes, I wish I could shut down that side of my brain and just enjoy the view ! Such an inviting place for a walk. I love the quiet shadiness of the image. Excellent.